A throng of collectors, dealers, artists and art lovers from across the globe will descend upon New York for the state’s largest art gathering: Armory Week. Taking place in early March, the event finds its roots in the premier art festival, The Armory Show, in Manhattan’s Upper East Side neighborhood. Since it was founded in 1994, the art fair has established itself as a pivotal hub for exploring contemporary artworks (20th- and 21st-century pieces) and catching the latest trends in the ever-evolving industry. Coinciding with Armory are satellite fairs throughout the five boroughs such as NADA New York Gallery Open, Independent New York, and Art on Paper among others. To help you navigate through the art festival madness in NYC, we’ve curated a list of must-see exhibitions that spotlight works from emerging talent to established artists. 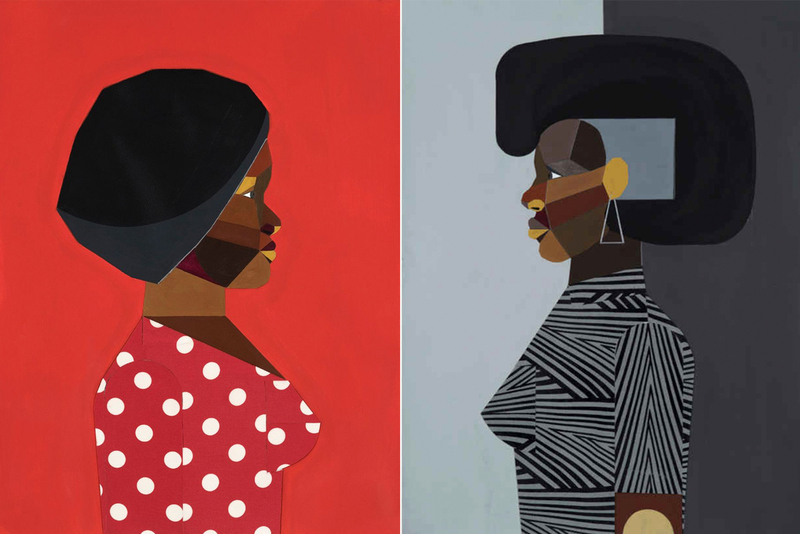 The New Museum recently launched a momentous exhibition surveying the sociopolitically-charged works of Jamaica-born, Harlem-based artist Nari Ward. Over 30 works spanning large-scale installations, sculptures, and immersive experiences are displayed inside the Lower East Side institution’s white-walled rooms. These pieces, dating as early as 1992, were made using discarded objects such as baseball bats, strollers, and shoelaces that were all scavenged from the streets of New York City. Seminal African-American artist Derrick Adams is roundly-praised for his figurative paintings, collages, and assemblages that touch upon socio-political issues and pop culture. The progressive creative is the subject of a new exhibition at New York City’s Luxembourg & Dayan gallery. Organized by renowned art curator Francesco Bonami, the show entitled “Interior Life” sees new portraits on paper with Adams’ signature abstract patterning style observed throughout the pieces. Non-profit initiative FRESCO Collective is slated to launch an exhibition at the fledgling HRY SPACE in lower Manhattan. Titled “Postmodern Miasmas: Responses to the Urban Body at Lispenard’s Meadow,” the showcase features diverse works by seven emerging artists that were nominated for the group’s annual 2019 Nova Prize that highlights “new artistic visions and fresh perspectives in millennial art and culture,” as per a statement. Red Bull Arts New York is no stranger to displaying immense exhibitions that glean archival works from some of the most dynamic artists. Following its RAMMELLZEE retrospective last year, the Chelsea institution is gearing up to launch a major survey on the late multi-disciplinary American artist, Gretchen Bender. Entitled “So Much Deathless,” the posthumous show is comprised of a series of discussions, film screenings, live performances, and gallery walk-throughs. 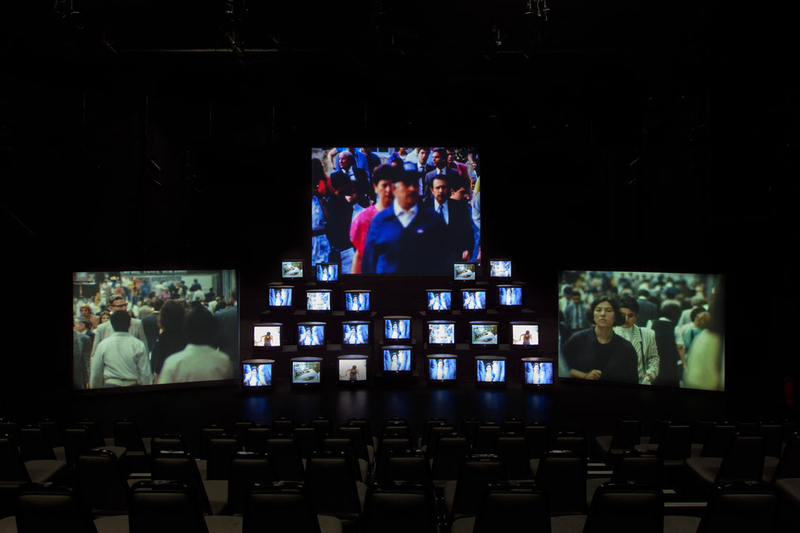 The nexus of the show is Bender’s Total Recall (1987), an immense installation built using a 24-monitor multi-projection screen. New York City-based artist Bentley Meeker is lauded for his sculptural works and immersive spaces that are built using lighting objects and industrial materials. 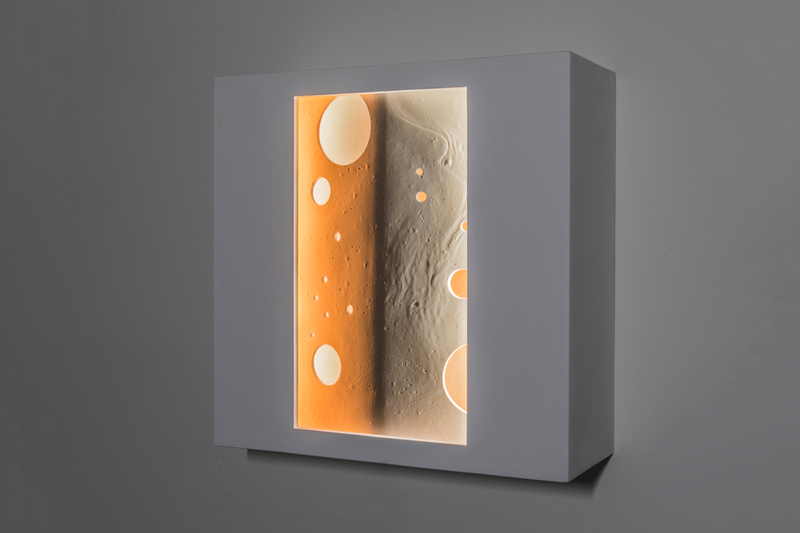 For Armory week, the artist partnered with Garvey | Simon gallery to stage a new pop-up exhibition entitled “Exploring Light.” A selection of never-before-seen illuminated pieces by Meeker will be displayed. 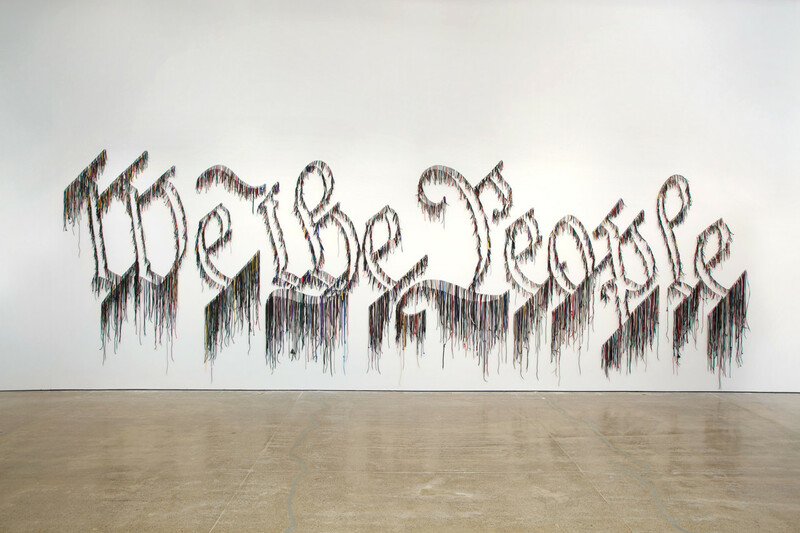 The works are a culmination of Meeker’s previous installations that were displayed in prestigious establishments such as the Whitney Museum and the White House. “The results of these explorations are his 40 contemplative installations that stand on their own yet intermingle to create a unifying and immersive tableau,” as per the gallery. Located in New York City’s Upper East Side district, Ross + Kramer Gallery will present a collaborative exhibition displaying works by Christian Rex van Minnen and Aaron Johnson. The duo’s new show called “In Heaven, Everything is Fine,” is an extension of their “Chum Chum Rubby Dubby” exhibition at the Aisho Nanzuka Gallery in Hong Kong last year. 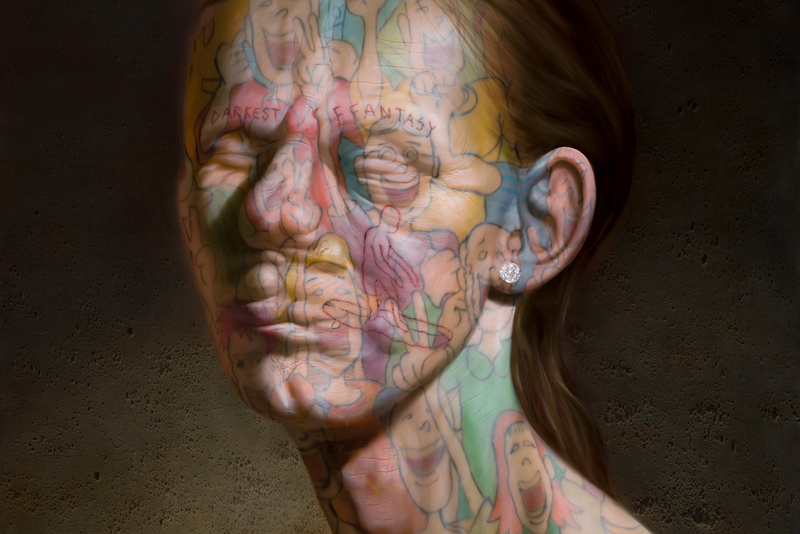 Altogether, the freshly-painted selection of works sees van Minnen’s bulbous and distorted human faces are mashed with Johnson’s acrylic narratives helmed by mythical creatures. “Appropriately titled after the song In Heaven, Everything is Fine from David Lynch’s 1977 film Eraserhead, this show questions the dichotomies of darkness vs. light, romance vs. horror, and spirit vs. flesh,” said the gallery in a statement. Fort Gansevoort’s Gallery Space in NYC’s Meatpacking District will host a new exhibition featuring new artworks by Los Angeles-based artist, Patrick Martinez. 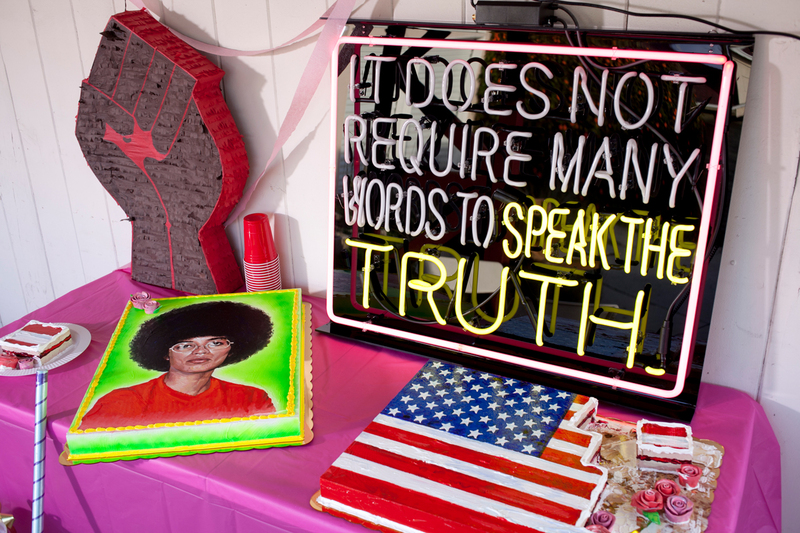 Entitled “That Which We Do Not See,” the show will feature multi-dimensional cake paintings featuring the likeness of civil rights leaders, landscape works spotlighting motifs inspired by the artist’s LA hometown, and neon text pieces highlighting self-empowerment quotes. The presentation marks Martinez’s first solo exhibition in the city. Organized by Visionaire, Japanese-Brazilian artist Oscar Oiwa will draw a highly-detailed composition that features his signature, surreal landscapes, and characters: Light Rabbit and Shadow Cat. The inflated canvas spans a whopping 2,700 square feet of surface area. 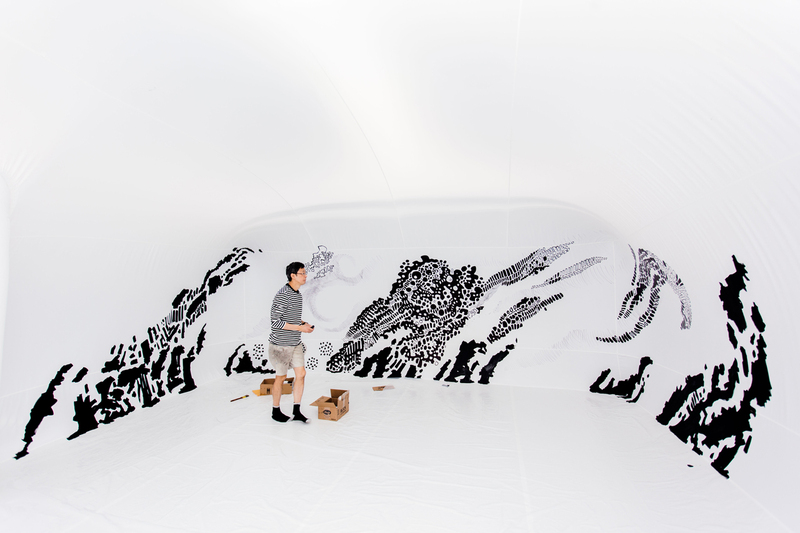 Oiwa will spend over 100 hours inside the space drawing the artwork. The artist’s entire process is currently being live-streamed on a screen outside the structure for public view. Once completed, visitors are encouraged to explore the space. American filmmaker and artist Harmony Korine will launch his latest solo exhibition at Gagosian’s 980 Madison Avenue space in Manhattan’s Upper East Side neighborhood. Titled “Young Twitchy,” the exhibition will display oil paint on canvas works inspired by photographs captured on the artist’s iPhone. 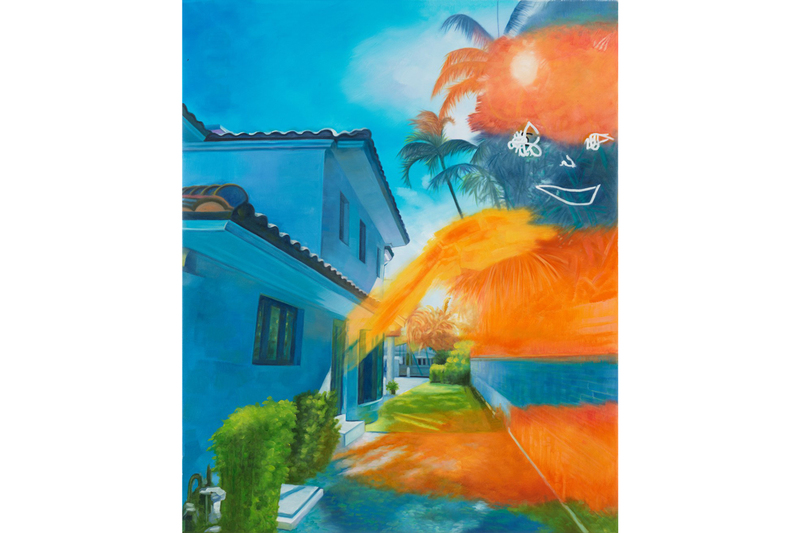 “I usually took these photographs around my home in Florida, and then painted over them with different characters,” said Korine in a statement.